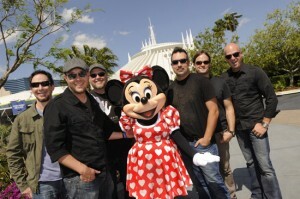 As we are set to celebrate the dawn of a brand new year, Disney is giving us a first look at the talent lined up for 2011 Night of Joy. This year, which marks the 29th consecutive year for the Contemporary Christian music event, will feature groups and solo artists alike, with a mix of styles guaranteed to appeal to just about everybody. Saturday, Sept. 10, 2011: mercyme, Tobymac, Jars of Clay, Sanctus Real, Kutless and Chris August. Night of Joy takes place after-hours and requires separate admission. For more information, please visit the Night of Joy webpage.